Viacom International Media Networks (VIMN) Americas has hired an exec from Brazil’s Grupo Bandeirantes to work on content at its Argentinian net Telefe and across its brands in South America’s Southern Cone. Guillermo Pendino, who has been named brand head by VIMN, will steer linear and non-linear programming for Telefe. He will report to Darío Turovelzky, senior VP of global content at VIMN Americas and co-chief of VIMN Southern Cone. Pendino joins from media conglomerate Grupo Bandeirantes, where he served as director of production and programming. 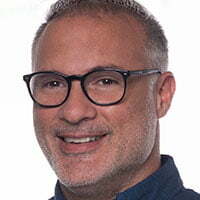 He previously worked at Telefe for almost four years as manager of content production and production and programming, respectively, in between stints at Bandeirantes. His new team at Telefe will include Paula Kirchner, programming lead, Angela Mandel, pay TV programming lead in the Southern Cone, and Dardo Sauret, head of creative. “Guillermo is an excellent producer and programmer who has local and international experience. The fact he worked for many years at Telefe provides great added value,” Turovelzky said. “We know each other well and worked together for many years.